Puresight Systems has launched their all-new robo vacuum cleaner Roomba 671 in India. Roomba 671 is a high performance & Wi-Fi connected robotic device that seamlessly navigates throughout the house, including hard-to-reach, under-couch and below-bed areas. It can be purchased via Amazon.in, iRobot’s India website, and iRobot’s offline retail outlets in Bengaluru and Chennai with 2 years of warranty on the robot vacuum and 1 year on the battery. The MRP of Roomba 671 is Rs. 37,900 however, the launch price is kept as Rs. 29,900. Roomba 671 has a 3-Stage cleaning system that comes with a powerful suction that and help to thoroughly clean floors. The device effectively cleans and identifies high-footfall regions that need more thorough cleaning. Its AeroVac filter also uses tangle-free, multi-surface brushes that can even remove embedded dirt besides dust, mites, and allergens. 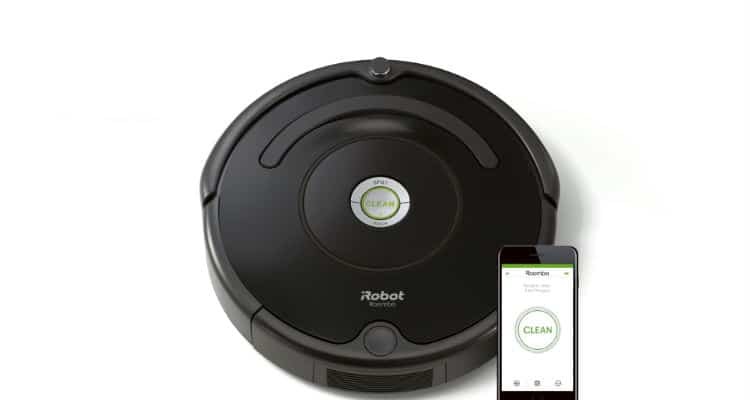 Wi-Fi enabled Roomba 671 can also be controlled while the user is not at home via its iRobot HOME App and the user also can prefix scheduled cleaning using the same. This device is compatible with smart home assistants such as Amazon Alexa, thereby enabling them to be voice-controlled. The high-performance device delivers a continuous cleaning action for one hour and automatically returns to its Home-Base charging station to recharge or when the home cleaning is complete. Puresight launches another Wi-Fi connected Vacuum Robot Roomba 671 in India 0 out of 5 based on 0 ratings. 0 user reviews.